A big round of applause everyone for Ruger... now this is a gun I need.. The first major mainstream gun manufacturer to have the balls to start selling pistols with threaded barrels for the masses. Drum roll.... it's the Blackops favorite super quiet Ruger Mark III series that has been suppressor equipped in the military since the Mark I series days. And now freaking finally, we can buy an off the shelf high quality 22LR pistol that is threaded and ready for a suppressor or compensator.... yeah!!! OK sure HK and a few other did produce a couple guns, but they were retarded-ly priced and might as well have been custom guns. I just say an HK with a threaded barrel USED and it was still $1400.... nuts. Many do not know, but suppressors are legal in many states with the purchase of a $200 tax stamp (takes about 45 days)... a small price to pay to be courteous to your neighbors. Suppressor sales have been rumored to have exploded in the last couple years. Honestly it's about damn time. I for one would like to hear less bang in my bang, if you know what I mean. For hunting it would be ideal to not spook game and for plinking in the back yard or even basement, a suppressor would be handy. Personally my next major purchases are going to be for 22, 9mm, and 308 suppressors. Since suppressors are legal in my State, I have been dieing to have one to screw into my TacSol Ruger 10/22 barrel and that same suppressor could also be used with any other .22 caliber gun with a threaded barrel such as the above Ruger pistol. With the Ruger 10/22 a barrel swap is simple and easy to obtain a threaded barrel, such as the TacSol barrel I used. On the Mark II/III, however it required the purchase of a more expensive serialized upper which effectively replaces 1/2 the gun. Kind of a waste. 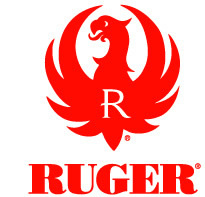 Ruger has obviously made this process a whole heck of a lot easier and considerably less expensive with the introduction of the 22/45 threaded barrel pistols. Pick up the $399 street priced Ruger 22/45, $500 for a suppressor and tax stamp and you got yourself a universal critter getter that won't piss off the neighbors. Neat! I also like that a designer at Ruger popped his head up and realized that a real top and bottom rail would be mighty useful. Why it took decades to realize this is beyond me, but I am elated to see this gun. Will this be the beginning of hopefully the de-vilification of the suppressors and possibly the removal of the asinine tax stamp restrictions on suppressors and machine guns? I hope it will. Now if a few other manufactures would start to step up we might actually see public sentiment change a little and save use some cash swapping out barrels. Introducing two new 22/45™ rimfire pistol models with threaded barrels. These new models allow owners to attach an assortment of muzzle accessories to one of America’s favorite rimfire handguns, the popular Ruger 22/45RP rimfire pistol. Both models feature a 4.5 inch, factory ½-28 thread barrel, which accepts many popular muzzle accessories. When not using a special application attachment, the threaded barrel and barrel crown are protected by a muzzle cap. The 22/45PRRP model (10149) comes without sights and features a Picatinny rail on top of the receiver for mounting optics. A shorter Picatinny rail is mounted on the bottom of the barrel for attaching lights, lasers and other accessories. The second model (10150) features a fixed rear sight and Partridge-style front sight. The receiver is drilled and tapped to accept a Weaver-style scope adapter (available at ShopRuger.com) so shooters can mount a variety of optics on the pistol. © 2011 STURM, RUGER & CO., INC.